Selected via an application process, the Youth Leadership prize honors an individual aged 18-30 who has contributed meaningfully towards the goal of ending global poverty. The award includes a $250,000 prize paid to the organization to which the individual contributes. Entries for the 2018 Global Citizen Youth Leadership Prize are closed. Wawira is the Founder and Executive Director of Food for Education, an organization working with vulnerable children in Kenyan public schools to improve their lives by providing subsidised, nutritious school lunches. Food for Education has provided over 400,000 school meals, contributing to improved nutrition status, school attendance and performance. In 2016, the organisation opened its first central school-based kitchen that currently provides highly subsidised meals to over 2,000 students every day. Wawira is a 2018 Rainer Arnhold Fellow, a recipient of the Builders of Africa Award 2018 and was selected as one of 2018’s Top 40 under 40 women in Kenya. Her ambition, simplicity of mission, and proof of impact has earned Njiru the first-ever Global Citizen Prize for Youth Leadership presented by Cisco, awarded at the Global Citizen Festival: Mandela 100, presented and hosted by the Motsepe Foundation, on Dec. 2 in Johannesburg. Ankit Agarwal is the Founder and CEO of Helpusgreen®, a social enterprise that has pioneered the flowercycling® technology to preserve the river Ganges from becoming a religious sewer. Awarded as Fast company world changing ideas 2018 and recognised by Forbes, Fortune, and Stanford Social Review, Helpusgreen® is the world’s first lean and profitable solution to the monumental temple problem that brings hope to revive the lifeline of more than 420 million – The Ganges. Ankit has been recognized in the Forbes India 30 Under 30 list and received the United Nations Young Leader for Sustainable Development Goals Award 2018. Dysmus Kisilu is the founder of Solar Freeze, a company that provides renewable energy solutions as a service to smallholder farmers in Kenya to increase agricultural productivity. Widely recognized for his work in renewable energy and climate smart agriculture, Dysmus has worked with 3,000 small scale women farmers in Kenya to increase agricultural yields by more than 150% since 2016. Dysmus also created ‘Each One, Teach One - Train and Earn’, a Solar Freeze initiative that aims to impact the next generation of renewable energy and climate smart agriculture leaders. Jaha works to end FGM, CEFM, and other forms of gender-based violence as the Chief Executive Officer of Safe Hands for Girls (SHfG). Through community enrichment activities, seasonal campaigns, and partnerships, SHfG strives to create a world where every woman and girl is free from FGM and all forms of gender-based violence, and has the support, knowledge, tools and self-esteem to reach their full potential. SHfG works at grassroots and policy levels, mobilising communities in The Gambia, Sierra Leone, the U.S. and beyond, to end violent practices against women and girls. Dolapo serves as the Chief Operating Officer of HACEY Health Initiative, an endeavor that provides accessible sexual and reproductive health and maternal services to survivors of sexual violence. Under her leadership, HACEY Health Initiative has implemented the “Hands up for HER (Health, Empowerment and Right)” initiative, a reproductive health education program that has engaged more than 10,000 girls in Nigeria. An advocate for gender equality, Dolapo strives to ensure that women and girls fully exercise their human rights without fear. Demonstrated track-record of measurable impact at scale over last 3-5 years advancing one or more of the Global Goals. Compelling vision and concrete plans for how to extend this work in the next 3-5 years, including how the prize will advance efforts. Inspires other young people to have an impact on achieving one or more of the Global Goals. Demonstrates the values and embodies the spirit of a Global Citizen and a Global Problem Solver. Innovates with technology or Internet-based communications to improve efficiency, reach, and magnify impact. You must be 18-30 years old as of December 2, 2018, and be able to travel to South Africa in early December to accept prize. For period of three years, you must be willing to do media interviews and appearances, and grant rights to GC and Cisco to use name, likeness and related content in GC or Cisco marketing campaigns and on GC or Cisco owned-platforms, such as cisco.com, globalcitizen.org and social platforms. You must accept the terms and conditions as listed here. You must not be a citizen of a country or entity subject to financial or other sanctions by the Office of Foreign Assets Control (OFAC) or other government entity of the United States of America that may restrict the transfer of the Prize. You must not be an employee of Global Citizen or Cisco. You must not be any organizations who have previously received prize funding or direct grant funding from Cisco or the Cisco Foundation. USD $250,000 awarded to a person or specific people on behalf of an organization that is judged to best fit selection criteria. An all-inclusive round-trip to Johannesburg, South Africa to attend the Prize Ceremony at the Global Citizen Mandela 100 Festival. Networking and development opportunities to support your work. Cisco and Global Citizen are united in their belief that young people around the world are leading the way to create and implement solutions to achieve the Global Goals, and to accelerate global problem solving.  We are joining forces to create the Global Citizen Prize for Youth Leadership presented by Cisco to recognize and lift up a young person positively impacting the world, as a way to demonstrate the impact that young people are having on achieving our common goals. Global Citizen is a community of people like you. People who want to learn about and take action on the world’s biggest challenges—and use their power to get other people involved too. We are committed to building a movement of citizens to end extreme poverty by 2030 and achieve the Global Goals for Sustainable Development. We bring you stories and actions that make a difference. That help fight extreme poverty and inequality around the world, and support approaches that will make life more sustainable for people and the planet. Why is Cisco presenting the Prize? What are the criteria used for selecting the winner? Impact: Demonstrated track-record of measurable impact at scale over last 3-5 years advancing one or more of the Global Goals. Vision: Compelling vision and concrete plans for how to extend this work in the next 3-5 years, including how the prize will advance efforts. Catalyst: Inspires other young people to have an impact on achieving one or more of the Global Goals. Global Citizenship: Demonstrates the values and embodies the spirit of a Global Citizen and a Global Problem Solver. Technological Innovation: Innovates with technology or Internet-based communications to improve efficiency, reach, and magnify impact. First round candidates will be judged against criteria by a group of Global Citizen, Cisco, and independent experts. Organization registration details - one or more of certificate of registration / incorporation / tax exemption. We may also request a call with you to answer any outstanding questions we have. If selected to advance to become one of five Finalists, you will be judged by a panel of five representatives from Global Citizen, Cisco, esteemed social enterprises, youth leaders, UN Agencies, businesses and other leaders in the international development field. What does the judging criterion “Global Citizenship” mean? What does “Global Problem Solver” mean? Please reference the Global Citizen Manifesto for our definition of a Global Citizen. We are looking for a young person who is making extraordinary progress towards one or more of the Global Goals. Global Problem Solvers innovate as technologists, think as entrepreneurs, and act as social change agents to solve global problems like poverty, inequality, hunger, and more. What does the Criterion “Technology Innovation” mean? We are looking for organizations that use an IT-based solution to improve efficiency, reach, and magnify impact. A qualifying IT-based solution is one that produces greater impact, at lower cost, higher quality, with stronger outcomes – and also enables specific metrics for social outcome to be gathered and reported. What are the eligibility requirements for Prize? Who is ineligible for this Prize? For period of three years, must be willing to do media interviews and appearances, and grant rights to GC and Cisco to use name, likeness and related content in GC or Cisco marketing campaigns and on GC or Cisco owned-platforms, such as cisco.com, globalcitizen.org and social platforms. Any organizations who have previously received prize funding or direct grant funding from Cisco or the Cisco Foundation. Do I have to be the founder/CEO of the organization to be eligible? No. We are looking for a transformative leader who is having impact, and so your title doesn’t matter to us. In your application, you will be asked for the title of your role in the organization to help us understand how you are having impact. Do you accept people from any country? We accept applications from all over the world, with the exception countries and entities subject to financial or other sanctions by the Office of Foreign Assets Control (OFAC) or other government entity of the United States of America that may restrict the transfer of the Prize money. Do you only accept non-profits? No. We accept applications from any individual who is doing impactful work and who has a registered legal entity such as non-profit, for-profit, B-corp, social enterprise, etc. Is this prize for individuals as well as organizations? The Prize will be awarded to an individual, but the money will be allocated to their nominated organization that is having the impact. I have a lot of great ideas, but am just starting out. Am I eligible for the Prize? We are glad you are passionate about making a difference in the global community. However, this prize is for individuals who have demonstrated impact over multiple years so the Global Citizen Prize for Youth Leadership may not be right for you. What is needed for the application? The application consists of three parts: (1) Personal and Organization information, (2) Description of your organization and your work (3) Description of how your work aligns with the judging criteria. For the first part, you will be required to submit a scanned copy of your passport and proof of your organization’s registration details including the certificate of registration, incorporation or tax exemption. You must also provide us with a 2-3 minute video of your pitch telling us why you deserve this award. For the second part, you will be required to answer 3 short answer questions. For the third part, you will describe in 250 words or less, how you have achieved each one of the Prize’s criteria. Applications opens for submission on September 27, 2018 6:00 AM EDT and closes on October 15, 2018 at 09:00 AM EDT. Can I apply after the submission deadline? Can I get an extension for submission? Entries submitted after October 15, 2018 at 09:00AM EDT will not be accepted. We encourage you to apply next year! When will I find out if I have been selected? Semi-finalists will be notified on or before October 20, 2018. The winner will be notified within 5 days of November 5th, 2018. What does it mean if I am a semi-finalist or finalist? After initial judging of applicants, we will create a list of approximately 20 semi-finalists. These candidates will be contacted to provide supplementary information within 72 hours of notification. From this group we will select 5 finalists who will move forward to the final judging panel. What documents are required if I am a semi-finalist? Should I prepare them now? Any relevant videos from speeches / presentations that demonstrate your work. Once you apply for the Prize, you should have your semi-finalist documents ready for submission. Semi-finalists who are contacted and cannot provide supplemental information by 9am EST on Tuesday October 23 may be removed from further consideration. If selected as a semi-finalist, you will be provided with instructions on how to submit your supplemental information. Who should provide the letter/video of endorsement? Letters should have an official letterhead and original signature. Videos should be no more than 3 minutes long. Endorsements don’t need to be new / given specifically for this prize, but we do ask that they are less than six months old. What costs are covered for the Prize Ceremony for the winner? Return economy airfares to Johannesburg, South Africa for the Prize Winner and a companion, with the flight originating from the Prize Winner’s nearest capital city. Hotel accommodation in Johannesburg for the Prize Winner and a companion for the period 01-03 December 2018. A per diem of USD$300 for the period of 01-03 December 2018. Ground transportation to and from events hosted by Global Citizen or Cisco, where the attendance of the Prize Winner is requested. Where and when is the Prize Ceremony? The Prize ceremony is at Global Citizen Festival Mandela 100 in Johannesburg, South Africa at FNB Stadium on December 2, 2018. Do I require a passport? You must be able to travel to South Africa to accept the award. If this requires you to have a passport or visa, you will be responsible for securing them. I know I can’t attend the Prize Ceremony. Can I still apply? Attendance to the Prize Ceremony is mandatory. Applicants who cannot attend the Prize Ceremony are not eligible. If I am selected as the winner, how will I get to South Africa? Global Citizen provides the winner and a guest tickets to the Mandela 100 Festival, and pays for the airfare, hotel accommodations, and other travel-related expenses surrounding the event. Can I nominate someone for this Prize? No, applicants must apply for the Prize themselves. Can I apply in a language other than English? Unfortunately, at this time we are only able to accept applications in English. You are welcome draft your application in another language and send us a translation. We are judging you on the criteria, not your expression. Can I submit any further supporting documents or media? Only semi-finalists will be contacted to provide supplemental information. However, you should have this information available at the time of submission. What happens to my application materials after I submit? All application submissions will be reviewed against Award criteria. If I am selected as the winner, do I have to spend the Prize money in a certain way? No. Award money is unconditional. However, we do ask applicants for an idea of how they plan to use the money and require the winner to provide quarterly written updates on their organization’s progress for a period of 3 years. How do I make and send my video? Can I still apply if I cannot create a video? Your application must include a 2-3 minute video of your pitch, convincing us why you should be awarded this prize. Once you have filmed your video, you must provide a link, either from an online drive such as Google or Dropbox, or from an online video platform such as YouTube. Applications without a video pitch will not be accepted. I’m having trouble submitting my application, what can I do? Can I change my application after I submit it? No, all applications are considered final. If you have any questions that are not answered on the award’s information page or in these FAQs, please email youthprize@globalcitizen.org. Regretfully we will only be able to respond to questions not answered here.